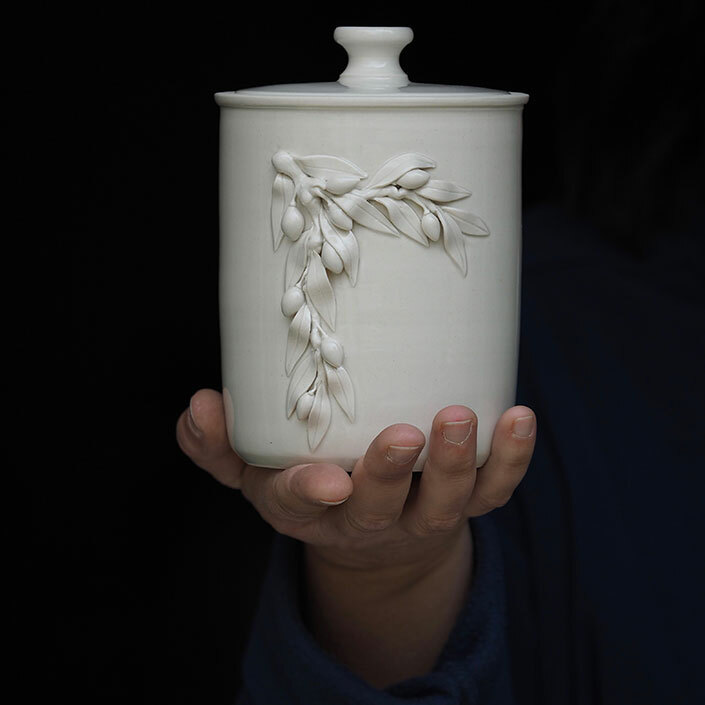 Art potter Katharina Bolesch and jewellery designer and craftsman Alexander Reichardt. 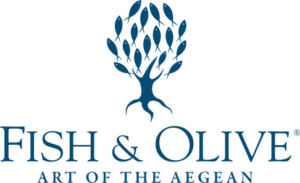 Fish & Olive – Art of the Aegean. The motif of the olive underpins Katharina’s stoneware and porcelain production but she also includes in her three-dimensional imagery, lizards, bees and frogs as well as the vine. Her work is entirely handmade, from the throwing over to the forming, and to the painting and glazing. Each piece is fired twice at a very high temperature to produce stoneware ceramics of great strength and durability. 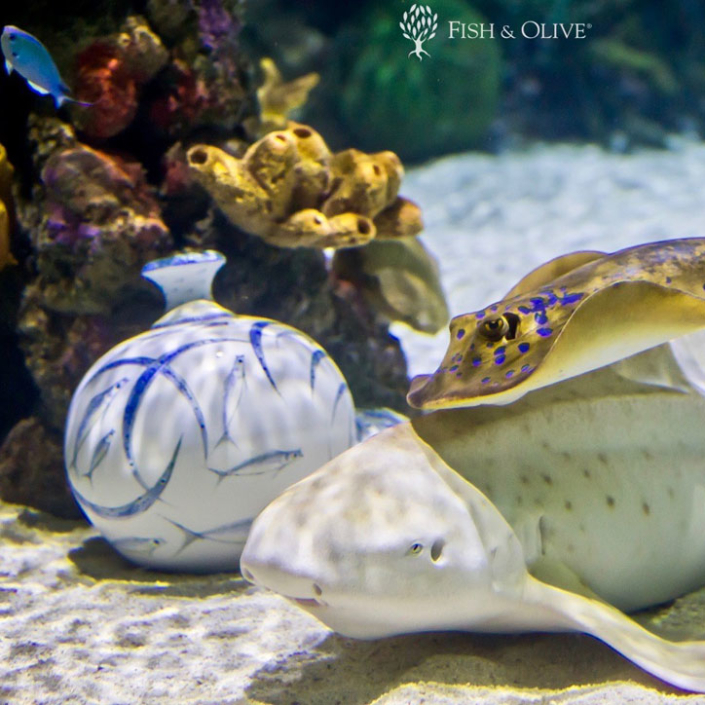 Katharina’s partner and husband, Alexander, grew up in the Mediterranean world and has observed the marine environment with an artist’s eye during many years of travel and through being a skilled scuba diver. 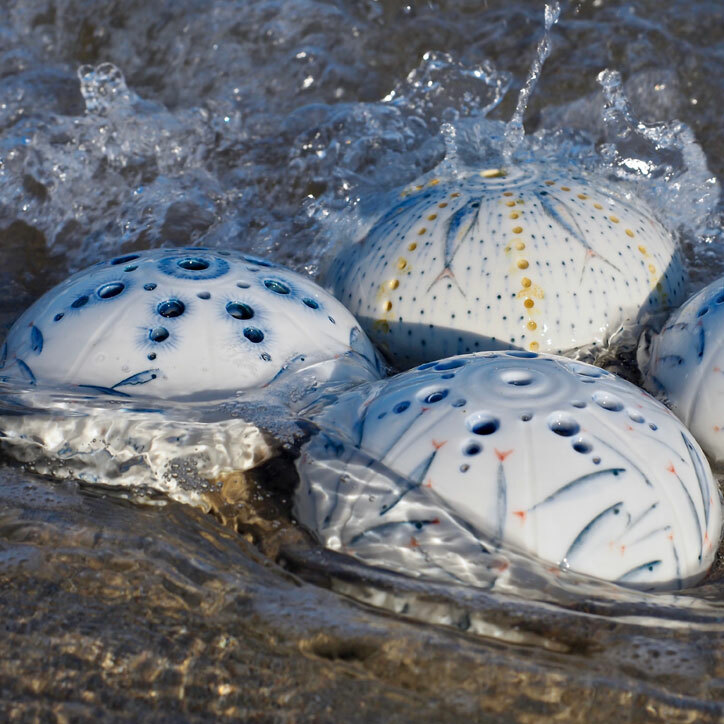 He is a lifetime member of the Cousteau Divers and draws on his creative affinity with the sea to produce fish designs both as enhancements of Katharina’s ceramics and for his own jewellery. 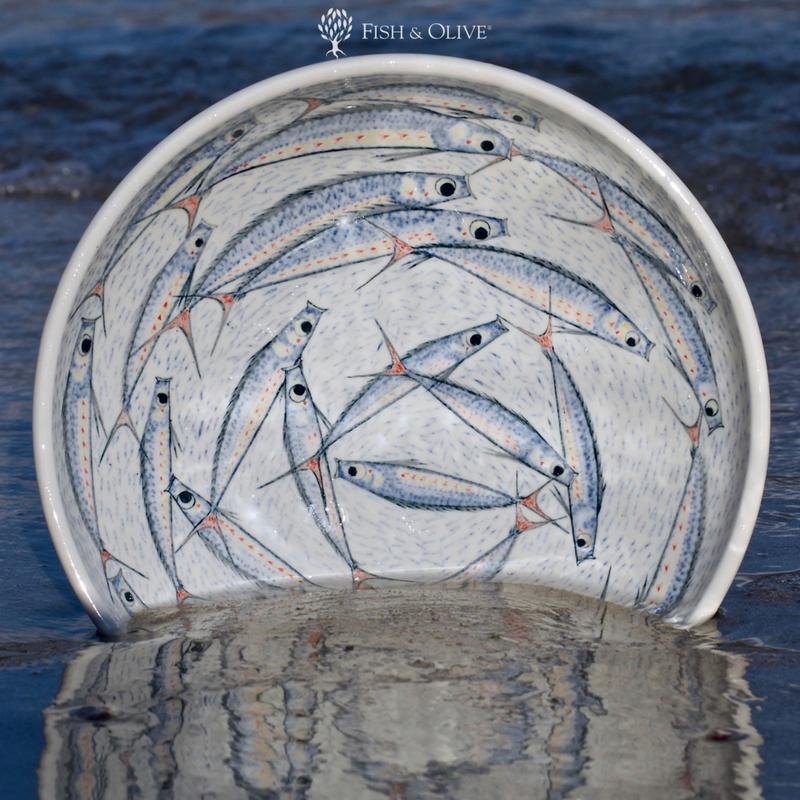 Alexander also paints his fish motifs on paper and creates artifacts in other mediums, such as marble, textiles and wood. 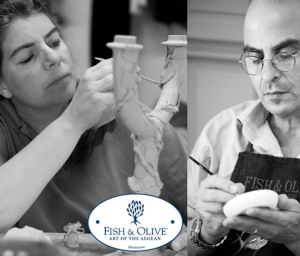 In the work of these two artists, the creative influences of the Cyclades and of Halki have resulted in a merging of the ancient themes and symbols of the Mediterranean world with a modern style of ceramics and jewellery. 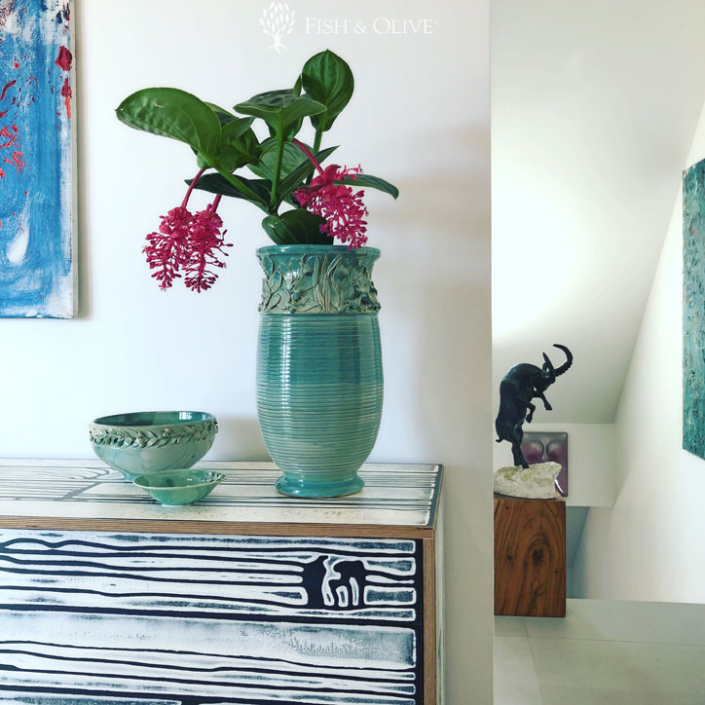 The pieces created by Fish & Olive range from unique items that are highly valued by international collectors to affordable objects of simple beauty. 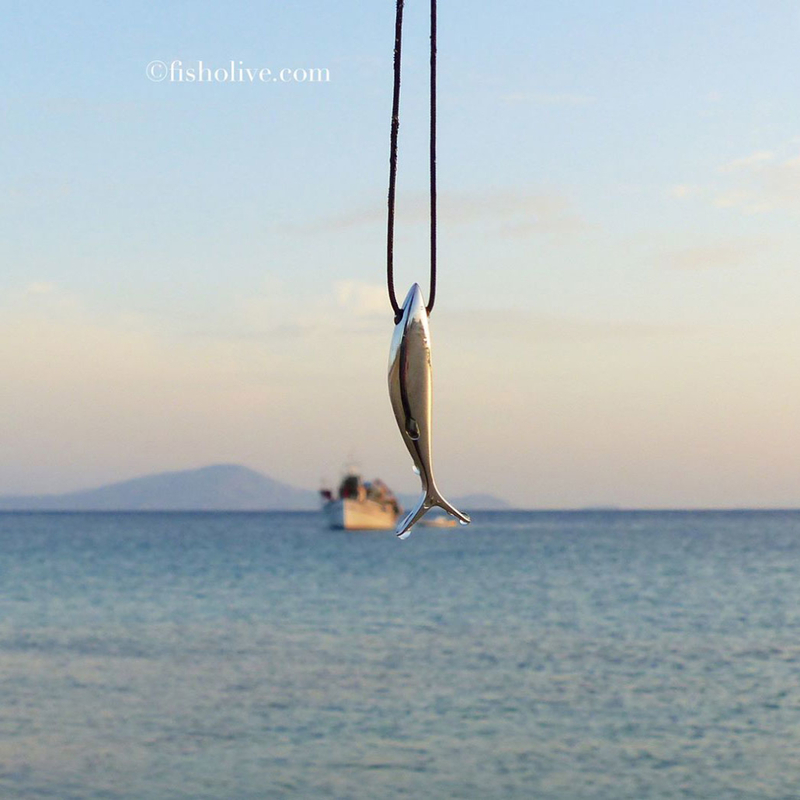 Only at Fish & Olive’s Naxos Gallery in Halki, and nowhere else on Naxos, will you find genuine and original jewellery and ceramics by Fish & Olive Creations.